Bellamy caught four passes for 39 yards in the Bears' 24-10 victory over the Jets. 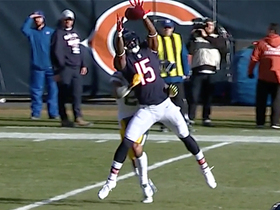 Analysis: With Allen Robinson missing this contest due to a groin injury, Bellamy was third on the team with five targets, and although he shared time with Kevin White, Bellamy was more involved in the offense. Even though this was the first game in which he's caught more than one pass this season, as long as Robinson continues to miss time, he has the potential to provide flex-worthy production for fantasy owners who may be missing players due to injuries or bye weeks. 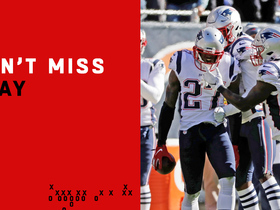 Bellamy was targeted four times but failed to haul in a pass in Chicago's 38-31 loss to the Patriots. Bellamy failed to see a target in Chicago's Week 6 loss to the Dolphins. Analysis: Bellamy has been targeted just three times this season, and he's emerged as little more than a bit player in the Chicago offense. 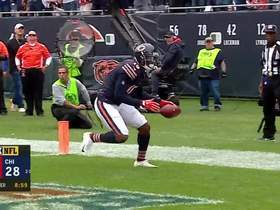 Bellamy caught one pass for 20 yards and a touchdown in the Bears' victory over the Buccaneers on Sunday. Analysis: Bellamy has been targeted once in each of the last three games, so despite the touchdown, he's not seeing enough opportunities to be a significant fantasy factor. 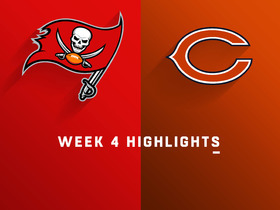 After the Bears' Week 5 bye, he'll face the Dolphins. Bellamy may replace Anthony Miller (shoulder) in the slot for Sunday's game against Tampa Bay, Kevin Fishbain of The Athletic reports. Analysis: With Miller looking like a long shot to play, Bellamy and Kevin White are both candidates for the vacated snaps. Bellamy's experience in the slot could give him the upper hand, but the Bears might also move Allen Robinson and/or Taylor Gabriel inside to free up some snaps for White on the perimeter. Even in a favorable matchup, there's not much fantasy appeal to be had when dealing with an uncertain No. 3 receiver situation in a struggling offense. Bellamy caught one pass for six yards in Monday's victory over the Seahawks. Analysis: Although Bellamy's played in both games, this was the first target he's seen. Unless the Bears suffer injuries at wide receiver, it's hard to envision a scenario where he has consistent weekly production. Bellamy wasn't targeted while playing three snaps in the Bears' Week 1 loss to the Packers. 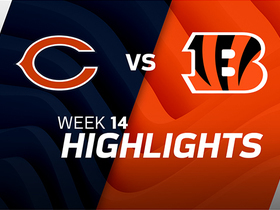 Analysis: Even Kevin White, who saw 12 snaps, was more involved than Bellamy in the season opener. Although he had value last year when the Bears had one of the worst wide receiver groups in the league, he now appears to be the No. 5 wideout and isn't likely to see regular playing time in the near future. Bellamy will not dress for Saturday's preseason game against the Chiefs, Kevin Fishbain of The Athletic Chicago reports. Analysis: Bellamy will join 30 other Bears players in street clothes for Saturday's preseason affair, with a good chunk of those sitting out being projected starters for Chicago. Bellamny is slated to serve as a depth option in the receiving corps for the Bears during 2018. Bellamy (illness) caught two of three targets for 28 yards during Thursday's Hall of Fame Game against the Ravens. Analysis: It was good to see Bellamy on the field after he missed practice time earlier in the week with some sort of illness. While the seventh-year receiver didn't see a whole lot of action in Thursday's game, Bellamy flashed his upside with a 25-yard catch at one point. He'll look to build upon his performance during Chicago's second preseason game next Thursday against the Bengals. Bellamy sat out of practice Friday due to illness, Rich Campbell of the Chicago Tribune reports. Analysis: Bellamy reportedly has strep throat and it isn't expected that he'll miss much more time with the illness. 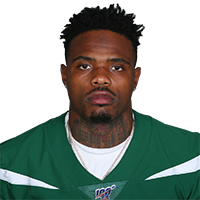 Bellamy had a career year in 2017, totaling 376 yards and a touchdown on 24 catches. However, the additions of Allen Robinson and Taylor Gabriel this offseason have pushed him down the depth chart and he's now competing for a reserve role in 2018. Bellamy signed his restricted free agent tender Wednesday, Larry Meyer of the Bears' official site reports. Analysis: Bellamy, who received the lowest of three possible restricted free agent tenders the Bears could've given him, took his time on the free-agent market but didn't generate much interest from other teams. He'll now return to the Bears for the 2018 season and will join a wide receiver corps that includes a number of new faces, namely Allen Robinson and Taylor Gabriel. In 15 games for Chicago last season, Bellamy caught 24 of 46 targets for 376 yards and one score. The Bears placed an original-round restricted free agent tender on Bellamy, Mike Garafolo of NFL Network reports. Bellamy caught one pass for 30 yards in the Week 17 loss to the Vikings and ended the season with 24 receptions (on 46 targets) for 376 yards and one touchdown. Analysis: Bellamy has been in the league five years and will be an unrestricted free agent as he enters his age-29 season. Although his aforementioned receiving yardage total was the best of his career, the fact he was unable to carve out much of a role on a team desperate for receiver help implies he'll serve as no better than a fourth or fifth wideout on a short-term contract in his next stop. Bellamy (foot) practiced fully Thursday, Rich Campbell of the Chicago Tribune reports. Analysis: Bellamy didn't take long elevating from some limitations to none at practice this week. With the Browns' 21st-ranked pass defense on tap Sunday, he'll seek out his fourth performance of 50-plus yards receiving in his last six appearances. Bellamy was limited by a foot injury at Wednesday's practice, Rich Campbell of the Chicago Tribune reports. 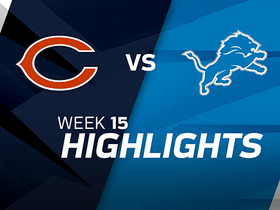 Bellamy caught five passes for 70 yards in the Bears' 20-10 loss to the Lions on Saturday. 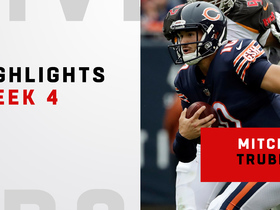 Analysis: Bellamy was second on the team with seven targets, and did the majority of his damage after the Bears fell behind 20-3 early in the second half. Although he's posted at least 52 yards in each of his last two games, he's failed to exceed five yards in seven different games this season, making him an extremely unreliable fantasy option. Bellamy caught two passes for 52 yards in Sunday's win over the Bengals. 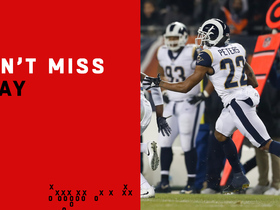 Analysis: Bellamy was third on the team with four targets, and he was the only Bear with a reception of longer than 19 yards, when he caught a 36-yard pass early in the game. He's now posted at least 51 yards in three of the seven games he's played this season, but the fact that he's yet to reach the 60-yard plateau this season gives him limited upside. Bellamy (illness) was a full participant at Friday's practice and doesn't have an injury designation for Sunday's game against the Bengals. Analysis: Bellamy was unable to practice on Thursday due to a minor illness, but the Bears' No. 3 receiver returned to action Friday as the team expects him to play in Week 14. He's caught just three passes in his last seven games. Bellamy did not practice Thursday due to illness. Analysis: Bellamy, who hasn't recorded over three receptions in a single contest this season, will need to make a quick turnaround if he hopes to play Sunday in Cincinnati. Should he be sidelined, expect Markus Wheaton to potentially see an increase in offensive snaps. Bellamy caught one pass for four yards in Sunday's loss to the 49ers. 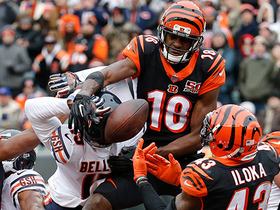 Analysis: Bellamy was targeted twice, which placed him in a tie with Kendall Wright and Dontrelle Inman as the most-targeted Chicago wide receivers in a game that Mitchell Trubisky threw just 15 passes. Although he had posted at least 36 yards in three of four games, he's caught just one pass for two yards over his last two contests. Especially with Inman in the picture, Bellamy is unlikely to see more than a few targets in any given game. Bellamy (concussion) was a full practice participant Wednesday, Rich Campbell of the Chicago Tribune reports. Analysis: Bellamy has apparently made progress in the concussion protocol since missing Sunday's 31-3 loss to the Eagles. With Tre McBride released and Markus Wheaton still minimally involved in the offense, Bellamy seemingly has a clear path to regular playing time as the No. 2 or 3 receiver Sunday against the 49ers. Dontrelle Inman has stepped up as the clear No. 1, averaging 4.3 catches for 65 yards on 7.3 targets the past three games. Bellamy (concussion) was officially ruled out for Sunday's game against the Eagles. Analysis: Bellamy was originally listed as doubtful with his only practice this week being a limited session Thursday. The 28-year-old did not travel with the team to Philadelphia, leaving Tre McBride and Markus Wheaton as the options to step in as No. 3 receiver for a heavy run-oriented Bears offense. Bellamy (concussion) is doubtful for Sunday's game in Philadelphia. Analysis: Bellamy returned to a limited practice Thursday, but he was back to non-participation to close out the week. His likely absence likely leaves a few more snaps and targets for Tre McBride and Markus Wheaton alongside Dontrelle Inman (groin) and Kendall Wright. Inman seems to have emerged as Mitchell Trubisky's favorite target in a low-volume, low-efficiency passing attack. Bellamy (concussion) was listed as limited on Thursday's injury report, Patrick Finley of the Chicago Sun-Times reports. Analysis: After a DNP at Wednesday's practice, Bellamy has progressed slightly through the concussion protocol, but an independent neurologist must sign off on his health in order for him to suit up Sunday at Philadelphia. Even if does get the all-clear, his targets have come sporadically this season, as evidenced by four or more looks in four contests and none in each of the other six. Bellamy (concussion) failed to practice Wednesday. Bellamy will not return to Sunday's game against the Lions due to a concussion. Analysis: Bellamy exited earlier in the contest to be evaluated for a concussion, and now will need to clear the league-mandated protocol before hopefully being cleared for next week's game against the Eagles. Bellamy exited Sunday's game against the Lions and is being evaluated for a concussion, Brad Biggs of the Chicago Tribune reports. Analysis: Bellamy has yet to be ruled out for the remainder of the contest, but being evaluated for a concussion is never a good sign. Markus Wheaton will likely step in as the Bears' No. 3 receiver should Bellamy be unable to return. Bellamy nabbed two of seven targets for 57 yards and a touchdown in Sunday's 23-16 loss to Green Bay. 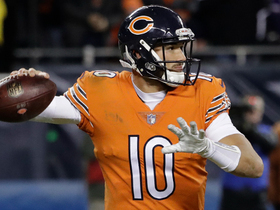 Analysis: Bellamy helped close the gap early in the fourth quarter when Mitchell Trubisky connected with him for a 46-yard touchdown, his first of the season. Bellamy had not been targeted in four consecutive games prior to Sunday's mini explosion. The exit of Deonte Thompson, season-ending injury to Zach Miller (knee) and acquisition of Dontrelle Inman shake up Chicago's receiving corps a bit. Keep an eye on Bellamy as a potential deep threat as Chicago opens up the offense for Trubisky.